Allison Geewax maintains a diverse practice both as a litigator and as a client counselor, advising clients in all phases of government contracting. She has experience in government contracts litigation before the Boards of Contract Appeals and the United States Court of Federal Claims, as well as bid protest experience at GAO. Allison also advises small business clients on issues such as SBA 8(a) certification, joint venture agreements, and SBA Mentor-Protégé agreements, and has organized and presented at informational and networking seminars on these topics. She works extensively on drafting and negotiating AIA and DBIA agreements to suit specific client and project needs. Allison is an adjunct professor at the George Washington University Law School. She is an active member of the National Contract Management Association, and was a recipient of the Association’s Outstanding Academic Achievement Award in Government Contracts. Allison is also a member of the Federal Circuit Bar Association and the Board of Contract Appeals Bar Association. Allison received her J.D. from the George Washington University Law School, graduating in the top 12% of her class. While in law school, she was a member of the Moot Court Board and the Alternative Dispute Resolution Board. Allison was also an Articles Editor for the Public Contract Law Journal, where her work has been published. 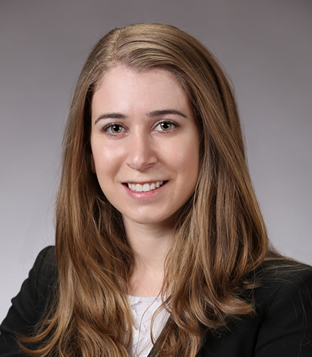 Additionally, she was both a participant in and co-chair of the Gilbert A. Cuneo Government Contracts Moot Court Competition, in 2013 and 2014 respectively. Allison is admitted to practice before the Maryland Court of Appeals, the Court of Appeals of the District of Columbia, the United States Court of Federal Claims, the United States Court of Appeals for the Federal Circuit, and the federal district courts of Maryland and D.C.
Contributor, “Equitable Adjustments and Claims, Chapter 15, Federal Government Construction Contracts, Third Ed.,” ABA Forum on Construction, Third Eds. (October 2017). Co-Author, The American Institute of Architects Releases 2017 Updates (August 2, 2017). Contributor, 50 State Construction Lien and Bond Law, Third Edition (December 2016). Co-Author, Six-Year Statute of Limitations and Cost Reasonableness: The 2014 McKenna Long & Aldridge “Gilbert A. Cuneo” Government Contracts Moot Court Competition, The Public Contract Law Journal.